The 2018 Jeep Grand Cherokee answers the question: is there anything more fun than the Trailhawk? After all, the Grand Cherokee Trailhawk lets you go off-road in sumptuous comfort while giving you all of the tools you need for safe trail travel. You’ve got terrain management and Selec-Speed crawl control as well as sufficient waterproofing, serious ground clearance, and tough skid plates. So what’s more fun than that? The 2018 Jeep Grand Cherokee Trackhawk is the answer. It spits out 707 horsepower and generates 645 lb.-ft. of torque. From bigger brakes to a more flexible suspension, aspects have been altered to make it the right ride for time on the track. If this speed demon seems a bit too much for you, you can still rule the road with the incredible Jeep Cherokee SRT. The V8 engine kicks out 475 horsepower and 470 lb.-ft. of torque. There are two standard engines, and neither one will make you feel like you’ve settled for less. The main engine is a 290-horsepower V6. Family drivers will appreciate solid power on demand. If you are a driving enthusiast, you may want the V8. It generates 360 horsepower and 390 lb.ft. of torque. No matter which one of these engines you choose, you are sure to feel confident behind the wheel. To keep you safe, the Grand Cherokee offers a menu of crash avoidance features. The parallel and perpendicular park assist is definitely a stress buster for busy drivers. A lanewatch is coupled with a lane assist. The forward collision warning may trigger an autobrake. For all of the excitement generated by the Jeep Grand Cherokee’s capability, passengers are more likely to notice how the cabin is geared toward comfort. Extensive sound insulation may be paired with acoustic glass and an active noise cancellation feature. Entertainment comes with the standard seven-inch touchscreen. Apple CarPlay and Android Auto are added with the 8.4-inch interface. You can bring the outdoors inside with the large panoramic sunroof. The kids will like a rear entertainment system with Blu-Ray. Your climate-regulating menu includes a dual-zone programmable thermostat, two rows of heated seats, front ventilated seats, rear vents, and a heated steering wheel. Drivers will appreciate memory-enabled power seats, a power-adjustable wheel, push button start and a remote starter. Leather choices are standard on the Limited and higher editions. Cargo is easy to handle with a power liftgate, a large hold, and folding second-row seats. When it comes to choice, few SUVs can offer as much as the Grand Cherokee. Shoppers can keep costs down with the Laredo or save on premium features with the Limited. The Overland and Summit push you into luxury territory without breaking the bank. You can enjoy luxurious living with the class-leading Trailhawk, exhilarating SRT and record-breaking Trackhawk. 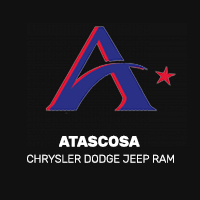 Get more information on your favorite and take a test drive at our dealership. ** EPA estimated 19 city/26 hwy mpg with 3.6L engine and eight-speed automatic transmission, 4×2. Actual mileage may vary.